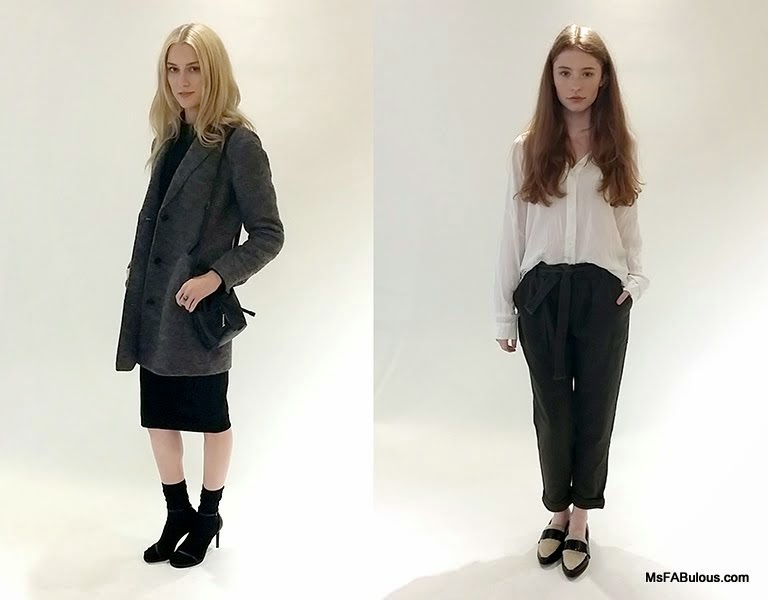 What are you wearing to work this winter? 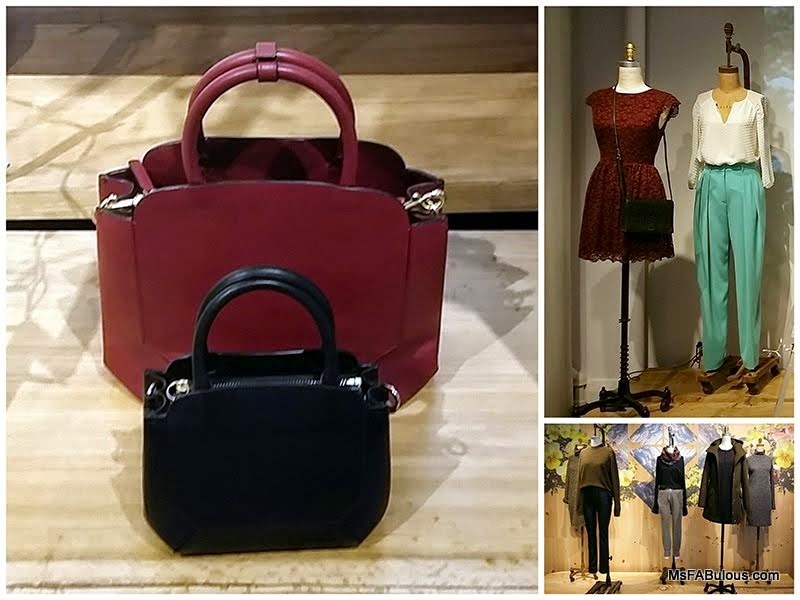 Aritizia's Soho Boutique hosted a preview of their winter and holiday collection last week. While this clothing chain is new to many of my fashion friends, they have been a go-to destination for Canadian peeps for years. They are not selling revolutionary new styles, but are trend driven and sophisticated at a great price point. This was the store that you graduated to after you left behind the fast fashion and high street stuff of placed like H&M to be taken seriously with the proper wardrobe of an adult. I love that their designer look sportswear is price accessible to almost everyone. The super soft jersey and silk tunics I just purchased I have already spent days lounging around in, ($45-$75). Their new fall dresses run mostly from $50-$165. While I know their clothing pretty well, I am quite excited about their new handbag collections. They are launching full grain leather bags in chic structured silhouettes in a price range between $200-500. I have to say, most contemporary leather handbags with high end details like hand-painted edge coating and custom hardware are positioned in a much higher price point. I don't know how Canadians manage to do it. Like Joe Fresh, they seem to be able to produce stylish, budget-friendly fashion at prices that Americans just scoff at. This is coming from me, who has worked on the development side of sportswear and leather. Hello Aritzia, nice to see another ex-pat in town.